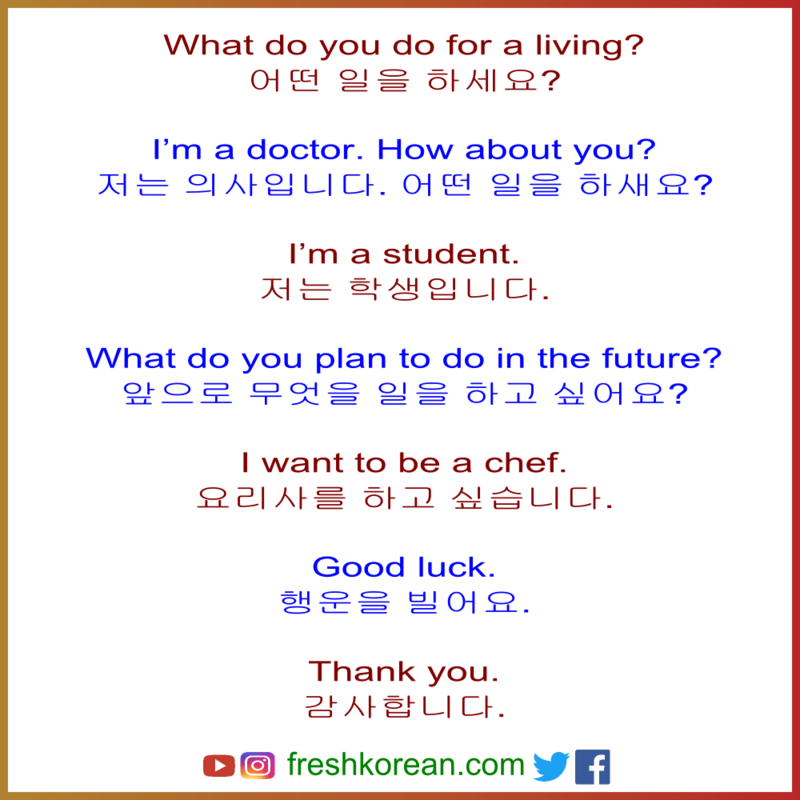 Here we finally back again with our eighth short Korean conversation to help with in everyday life or just for aiding with your studies. This conversation is between two people (friends/neighbors maybe) talking about what they do for a living. We hope that you find it useful. I’m a doctor. How about you? 저는 의사입니다. 어떤 일을 하새요? 앞으로 무엇을 일을 하고 싶어요? 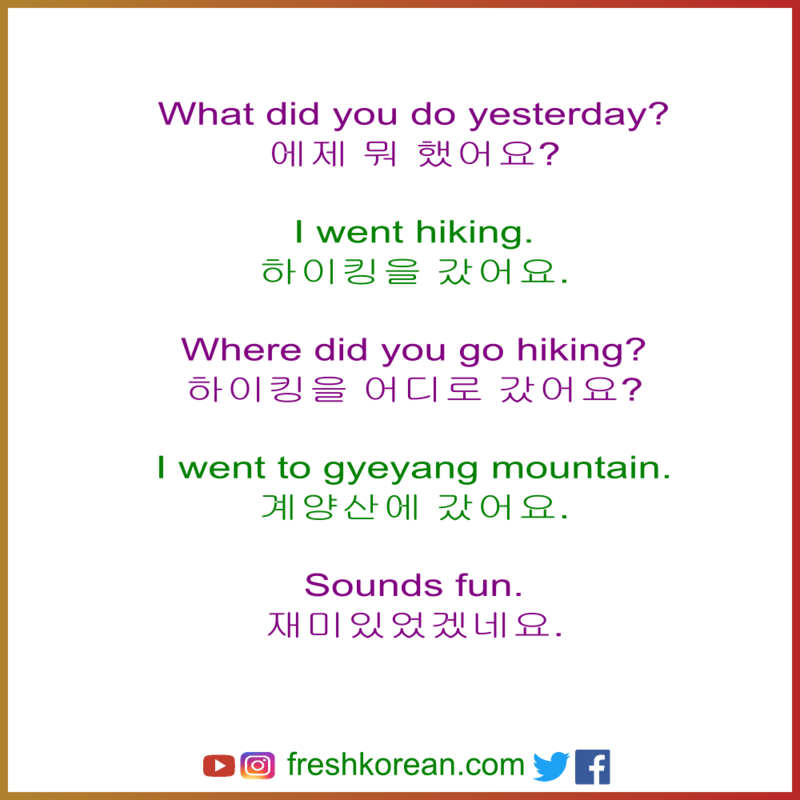 Here we have our seventh short Korean conversation to help with in everyday life or just for aiding with your studies. 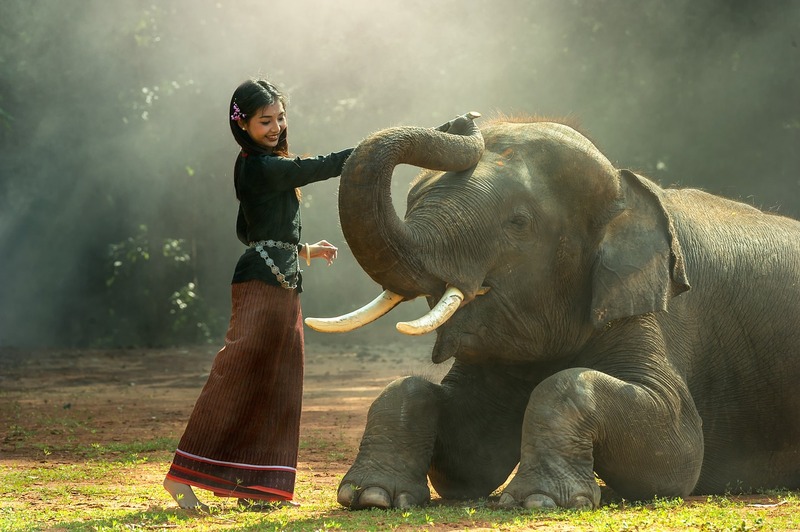 This conversation is between two people (friends/family/couple) talking about a recent trip to Thailand. We hope you find it useful. 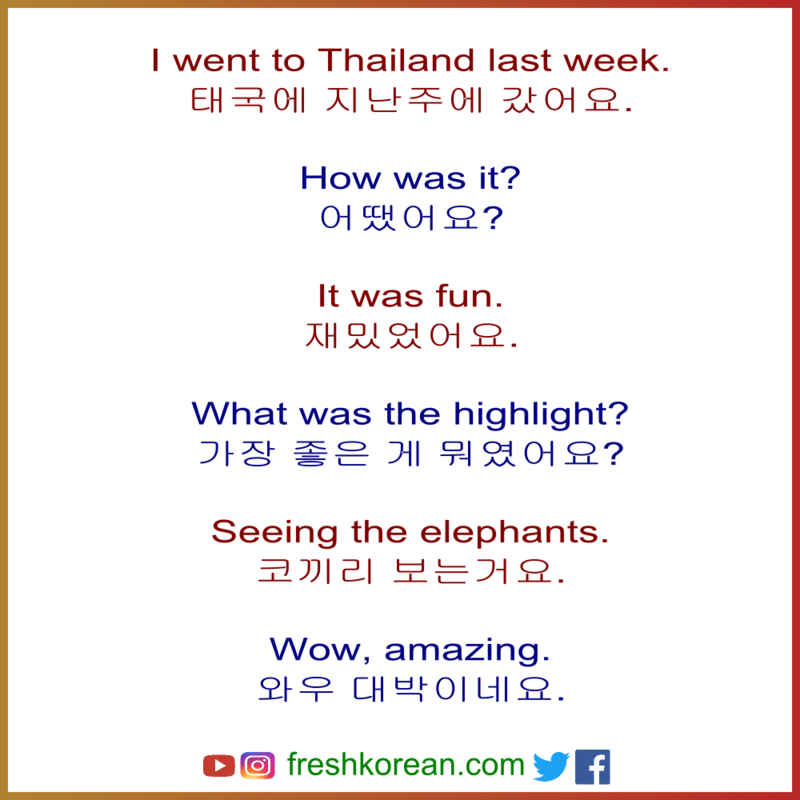 I went to Thailand last week. 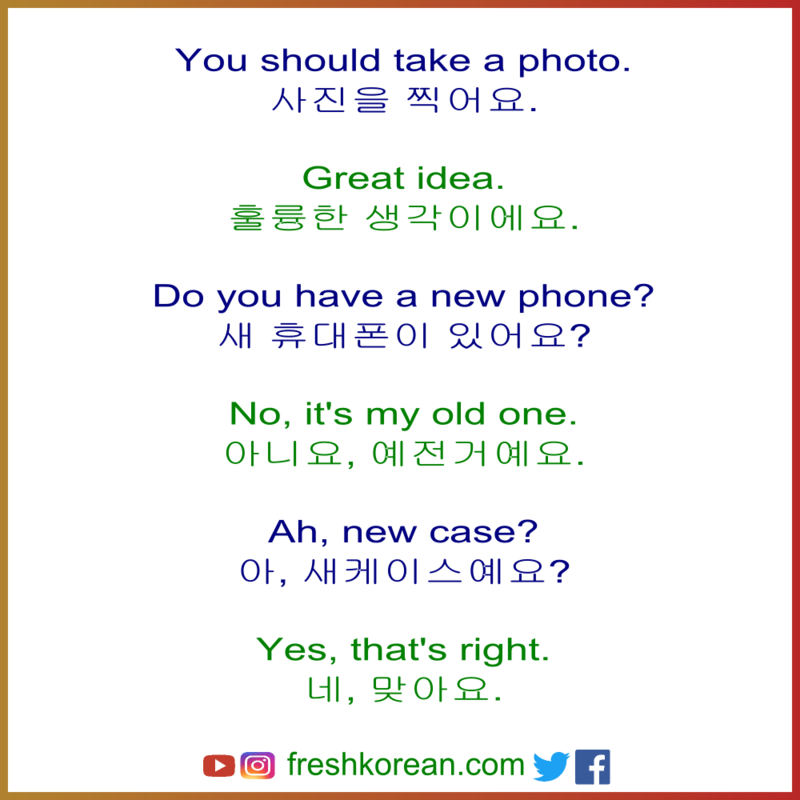 Here we have our sixth short Korean conversation to help with in everyday life or just for aiding with your studies. This conversation is between two people (friends/family/couple) talking about their favorite animals and pets. We hope you find it useful. 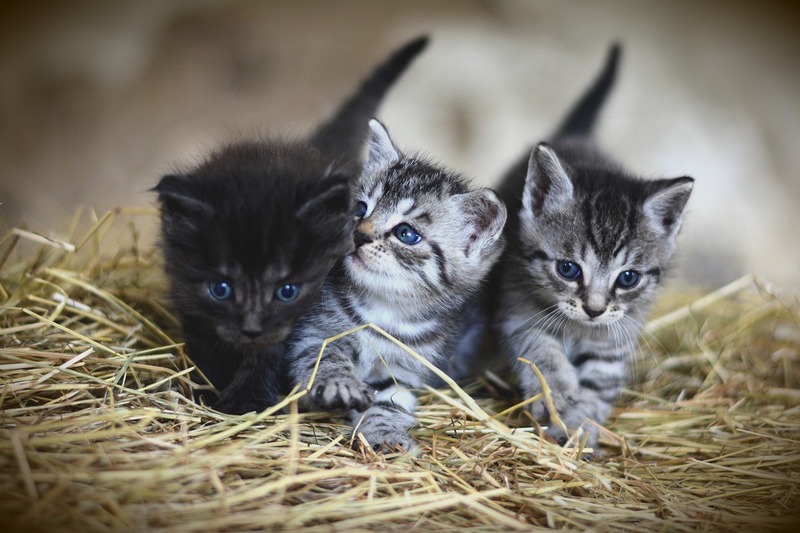 Do you have a pet cat? Yes, I have a kitten. 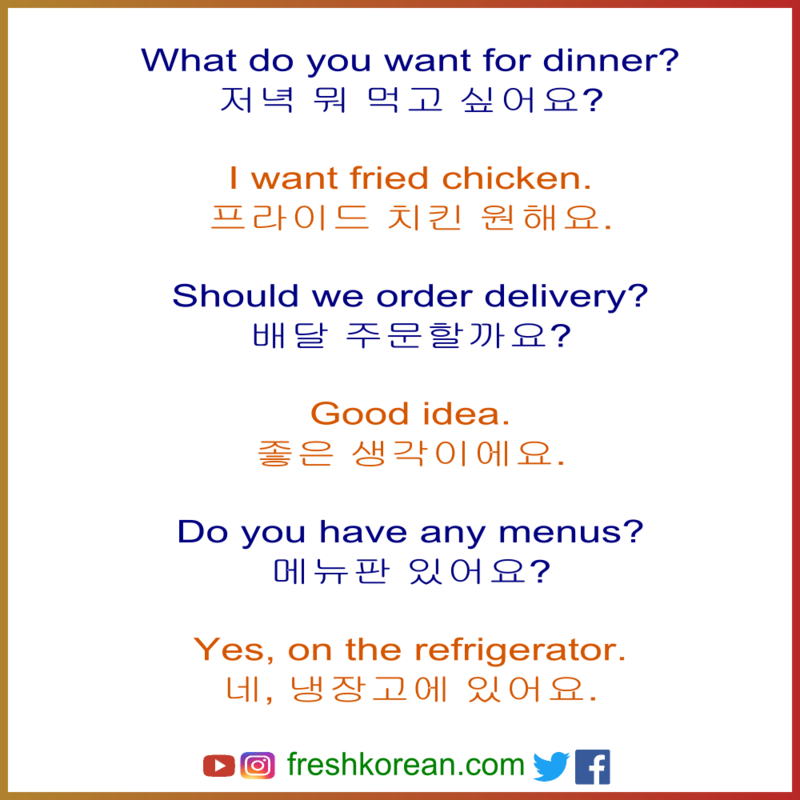 Here we have our fifth short Korean conversation to help with in everyday life or just for aiding with your studies. This conversation is between two people (friends/family/couple) talking about what they did yesterday which was going hiking. We hope you find it useful. 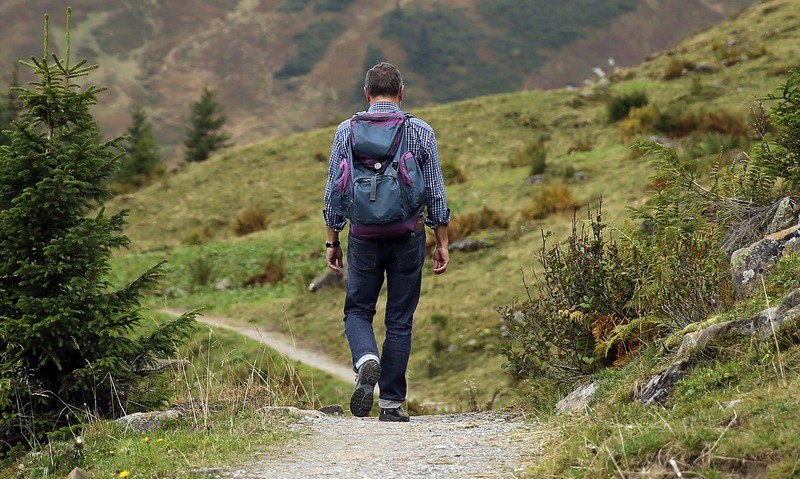 Where did you go hiking? I went to Gyeyang Mountain. 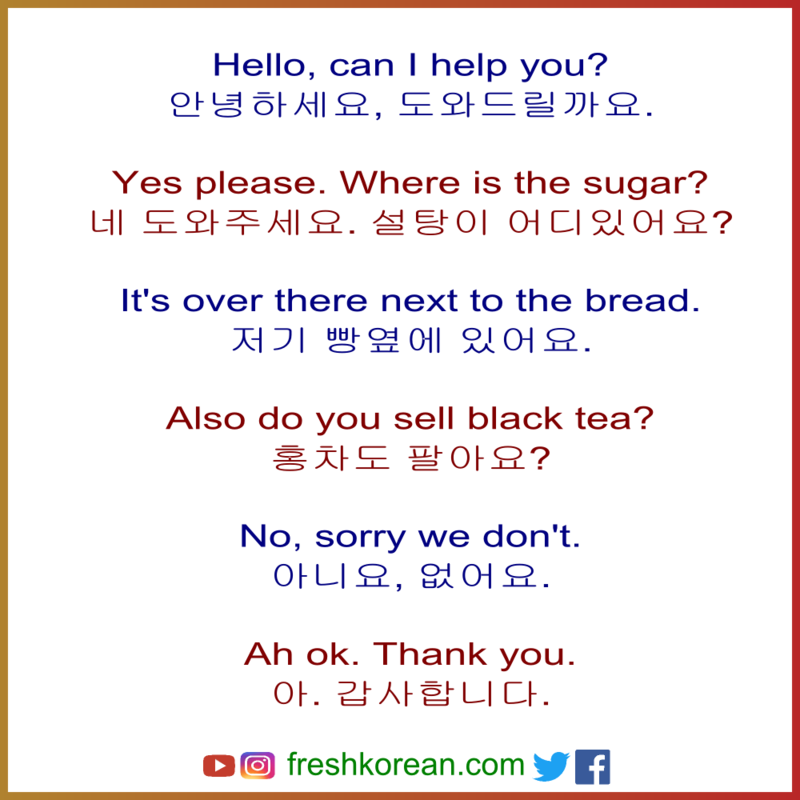 Here we have another short Korean conversation to help with in everyday life or just for aiding with your studies. 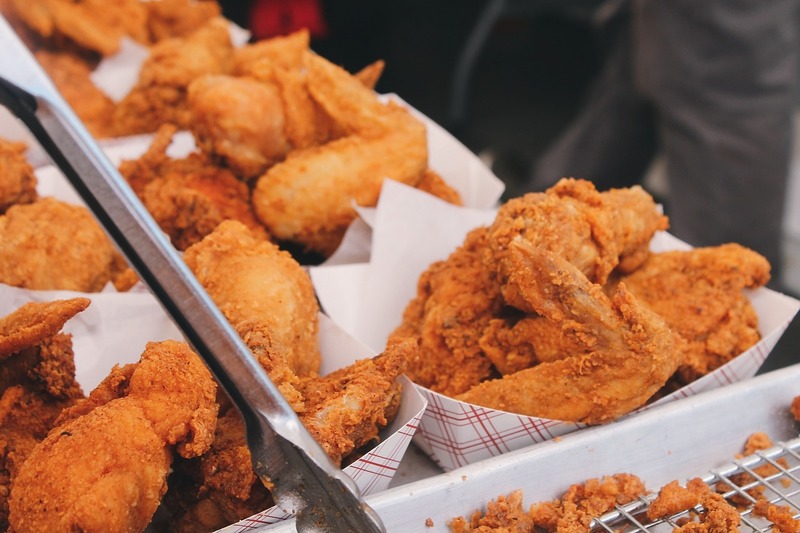 This conversation is between two people (friends/family/couple) talking about what to have for dinner and fried chicken. We hope you find it useful. Do you have any menus? This conversation is between two people (friends) at an event and they’re taking about taking a photo and their phones. We hope you find it useful. 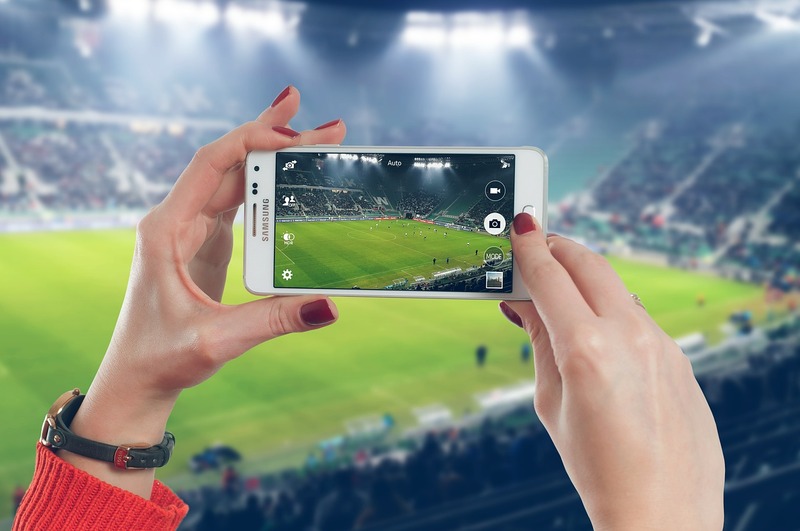 You should take a photo. Do you have a new phone? No, it’s my old one. This conversation is between two people (an employee and a customer) at a small local supermarket. We hope you find it useful. Yes please. Where is the sugar? 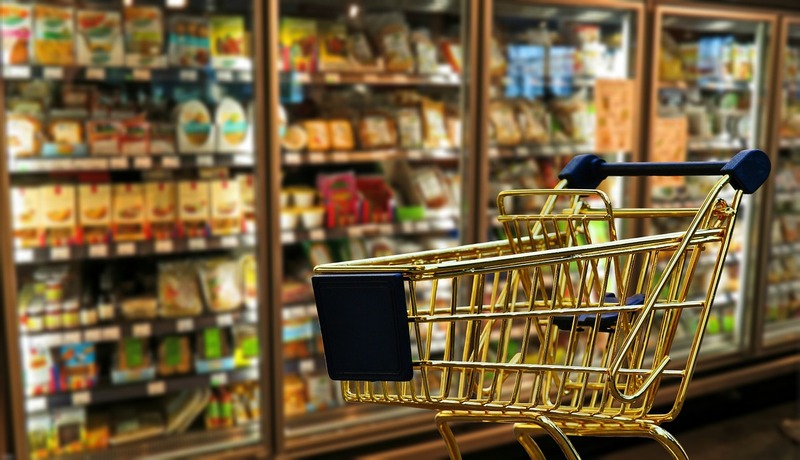 It’s over there next to the bread. Also do you sell black tea?